We are a fully mobile service and will come to your home, place of work or any other location For all your car glass needs. Meet the Business Owner - David has been in the automotive glazing industry for 28 years. 20 years with O'Brien Glass as a senior technician before establishing D & C Auto Glass in early 2010. 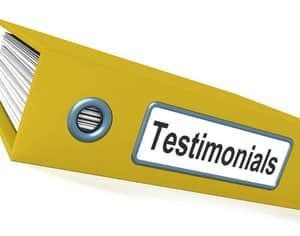 "I believe I provide my customers with service that is second to none in Perth. It is what is missing in the industry and it's what we do best. This, together with my experience and competitive pricing is the main reason we can provide our customers with a first-rate overall experience. Just ask my customers!" 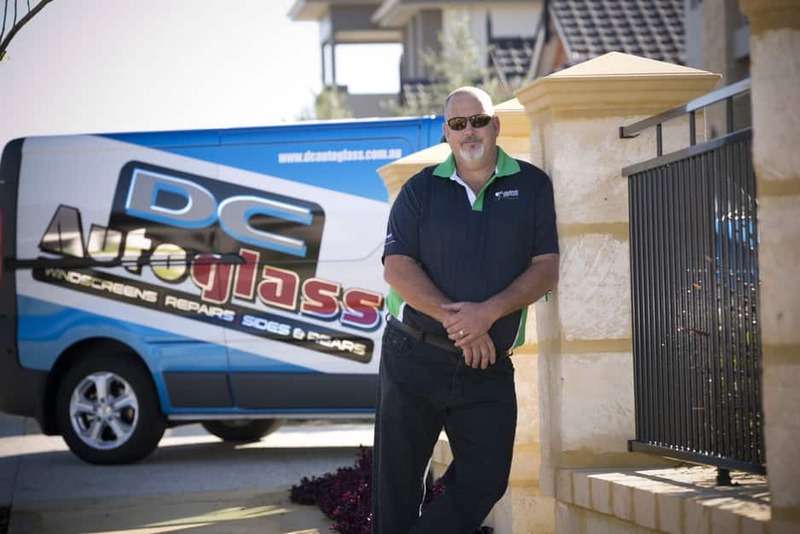 D & C Auto Glass is a wholly Western Australian LOCALLY owned and LOCALLY operated business catering to the automotive glass requirements of private, insurance and corporate customers in the Perth Metro Area. We are fully mobile, fully licensed (ABN 31 312 713 683) and operate 24/7. D & C Auto Glass replaces and repairs windscreens, side glass and rear glass. 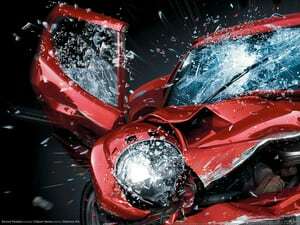 D & C Auto Glass trades with honesty and integrity providing customers with the best services at cost effective prices. 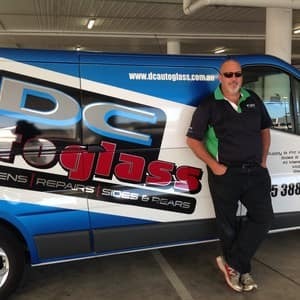 Please visit our website www.dcautoglass.com.au for a complete guide to the services we offer. Amazingly prompt, professional, personable and affordable. Thanks Dave for the wonderful job you did replacing my i20's windscreen. Will happily recommend you to others. Hi Tina. Thanks so much for the excellent review you left us. We work really hard to make our service exactly what you mentioned - prompt, professional, affordable and with a smile :) so we're really happy to see that reflected on your last visit. We made sure Dave got the recognition he deserved for that one! I was really impressed with Dave's service. He came out to my place of work and replaced my Pulsar's windscreen swiftly without any damage or mess. A neat touch was that he transferred the parking sticker from the old windscreen even though I'd forgotten to mention this. Knows his stuff - a quality job at a great price. Unbeatable in my view and thoroughly recommended. Thanks Dave. Thanks jdyorke for your positive review! The team here at D & C is thrilled to hear such good feedback, and we’re proud to be the 'best windscreen fitting business in Perth. Now you know why! Pass it one won't you? Great service - my windscreen was replaced quickly and for a very reasonable price. Very professional and courteous - I would definitely recommend D & C Auto Glass. Thank you for your fantastic recommendation. As a small business, we certainly appreciate it and thrive on customer feedback like yours MMandyM. All the very best for 2017. I called Dave the day before . He gave me a good price with the option to fix it the next morning . The job was done quick and good . Nice guy as well . I would highly recommend him . Thank you from the french girl mandy . I highly recommend D & C Autoglass. David came out on time and did an outstanding job. It all looks like new again. I am very happy with the professional job and excellent quality window. No short cuts here! 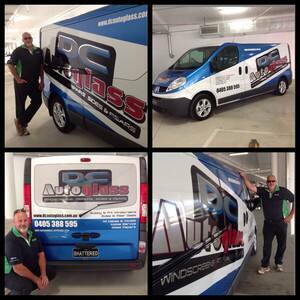 If you want a top quality service and product I highly recommend you to call David from Auto glass. Hi Marjanne, our very happy :) customer. Thanks for trusting in an independent like us instead of the big companies. The difference is we put our customers first, they put the almighty $$ first.